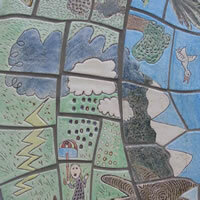 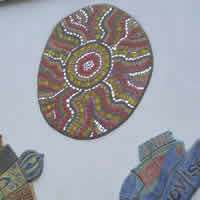 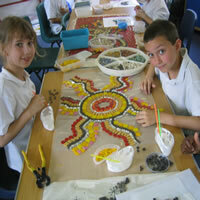 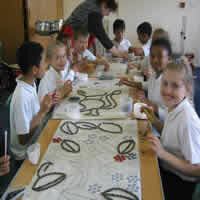 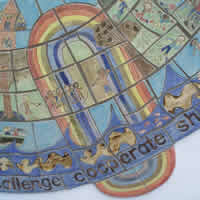 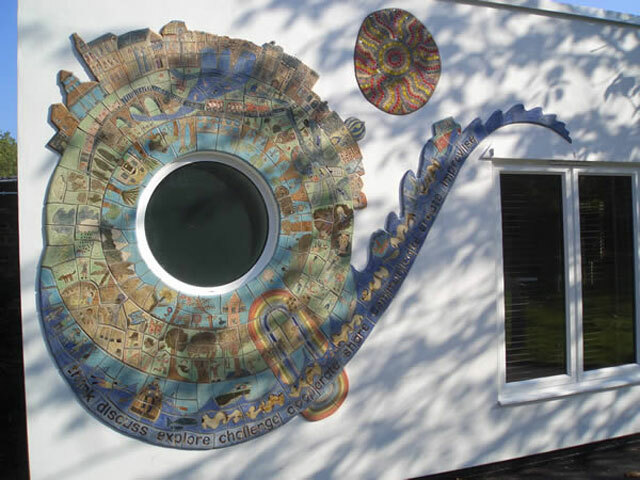 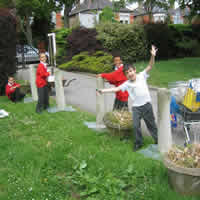 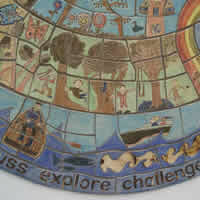 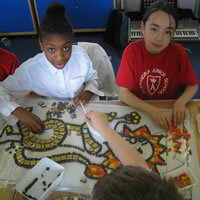 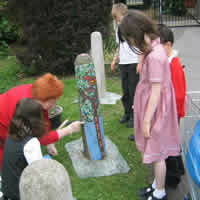 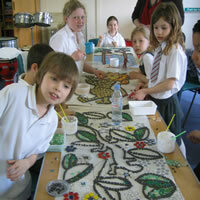 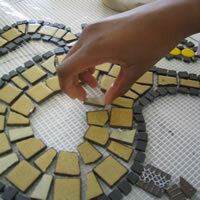 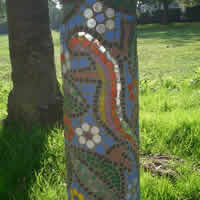 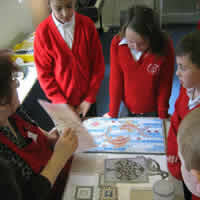 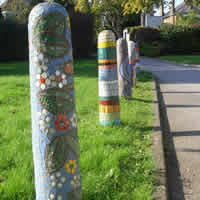 Everything featured on the mural and mosaics was created by pupils. 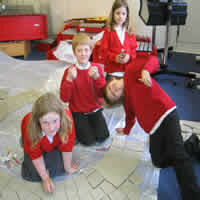 They brainstormed, discussed, explored and drew ideas in preliminary workshops, leading to the overall plan for the art for the new school extension. 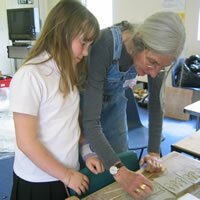 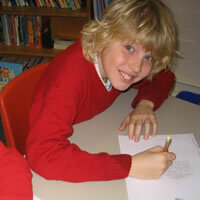 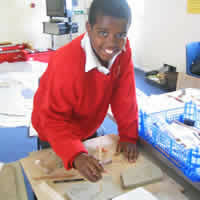 All pupils in the school then drew from source materials to get more detailed drawings for the design. 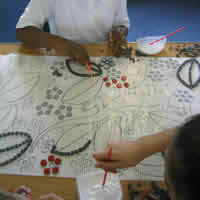 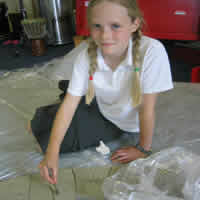 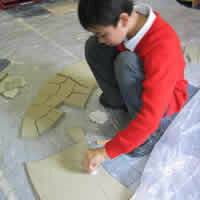 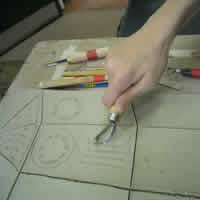 Every child worked with the Artyface artists on the wet clay or colouring the bisque fired tiles, and the mosaics were also their handiwork. 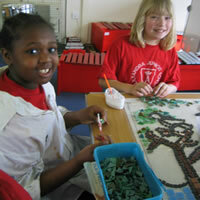 They are very happy with the results!